Like a lot of things that I work on, I only set it aside and return to touch it up. Hey Guest, check out my demos! version of cogwheel's platform script with some crazy eventing. and this starter should be good to go. *note that this is a starter kit. 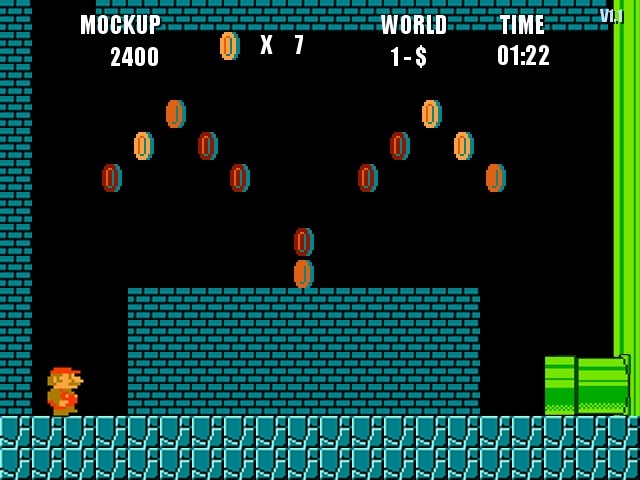 not all features in Super Mario Brothers will be in this project, maybe in time as a newer version is made. then y'all can laugh at / enjoy / use this project. project for me. I have added a lot more features and comments for every event. *Not all features in the original game are in this starter kit, yet. Remember the first version = the first version. The super Mockup project runs at a nice 37-40fps on my zippy computer yet I hope it won't run laggy on your PCs. I hope some of you are excited as I am, an advance RMXP starter to get your platformer on! warning: you will not enjoy this project with a slow PC. guaranteed. It looks pretty neat G@MeF@ce! How did you fix up that enemy touch thing? If you read this message, please PM me. this is a test. And I'm serious, this isnt just some lousy time wasting paragraph that I wrote just to fill in my signature. It's here for a reason. PM ME. Blue wrote: It looks pretty neat G@MeF@ce! for the "Shroomies" open up the event to see how it was done. just the mushroom men were tricky enough, can you imagine the turtles!? I was thinking about those turtles and trying to figure out how to make them work, also applying the pixel movement to the events as well, seeing that they will mostly have set paths back and forth. were scripted, as for the player movement and jump feel, the cursal engine still tops. WE WILL RULE THE WORLD! G-Plat is X-plat without XAS, just wait until you see X-plat! how to make attack using event if I use platformer script? Hey guys, over 200 downloads! these new sprites look great and work well. it's been awhile man. i been out the game. looking to get back in and make a sidescroller. and this looks perfect! i gotta mess with it a little though...gotta figure out how to make the guy attack instead of head jumping. Peace!